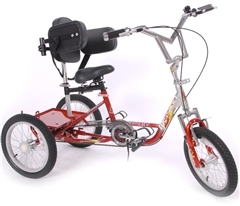 Listed here are specialised tricycles propelled by a chain drive mechanism. 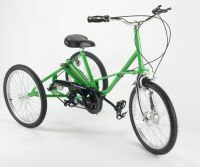 They are becoming increasingly modern in design and lighter in weight (London Cycling Campaign, 2009). 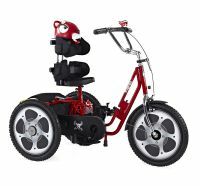 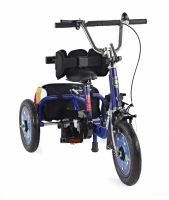 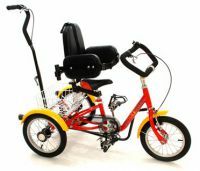 These trikes have features which may make them suitable for children with restricted balance or co-ordination such as: seats which are adjustable in height and angle; foot and ankle supports; trunk supports; backrests and head supports; attendant rear steering and brake control; harnesses and pelvic straps; steering restrictors. 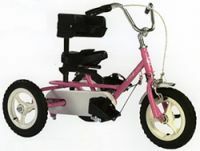 Some of the frames fold for storage and transporting. 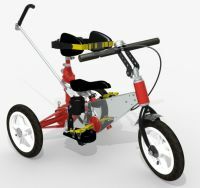 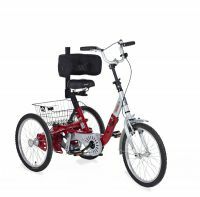 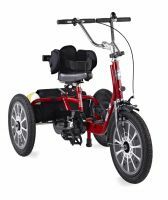 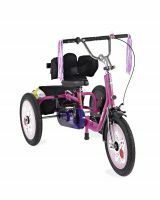 Some of these tricycles have the option of hand-drive pedals, but you may wish to see the full range of hand-propelled tricycles we have on Living made easy for children. 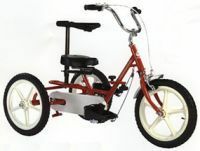 A few tricycles are set up 'back to front' with two wheels at the front. 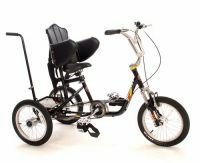 This type of set-up means that your child can see the width of the trike at all times, enabling them to judge gaps easier than on a conventionally set up trike (London Recumbents). 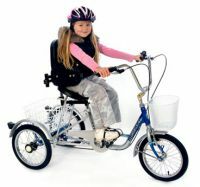 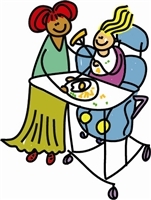 Tricyles don't require fine control of balance which means your child can go as slow as they like in comfort and safety. 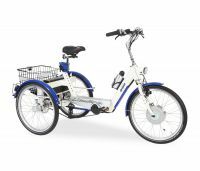 Their stability can be limited when quickly turning corners.